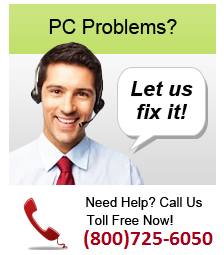 Get the All-In-One Ultimate PC Care! PC Tune Up Made Easy! Do you remember that super fast PC you bought? Do you wonder why your system now frequently crashes or freezes without warning or why it seems to take so long to perform the simplest of tasks? With PC Cleaner you can quickly revitalize your PC and reclaim that lost performance by optimizing and tweaking your complete system. Memory Optimizer optimizes your computer s RAM, making your computer run faster, and preventing up to 90% of Windows crashes. It uses advanced technology to automatically free up wasted RAM and allow your system to work more efficiently and with greater stability. Powerful features include the ability to identify and manage memory hogging applications, setting parameters for custom RAM optimization, and a graphical display of your system s available memory. PC System Optimizer is the fastest way to adjust all your system settings at once. These are made up of hundreds of checks, permissions and security levels. When Windows is first installed, these settings are pre-adjusted to match a general template, not to give you optimal performance for your PC type. Additionally programs will often adjust to cater to their particular needs, even if it's not in the interest of overall performance. The PC Optimizer works by determining what type of PC you have and what programs you have installed. Then it will adjust system settings so that your machine will function at its maximum capacity.